If you are tired of old, outdated shades or plan to move, come visit Shades to Go. 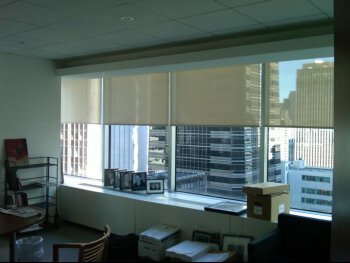 We carry custom made window shades that are made only in the USA, guaranteeing long-lasting support and great quality. No matter what your budget is, we can provide window treatments to complement your home. We sell all of our shades at factory direct prices, making your home remodeling project more affordable. As a shades supplier in New York City, we work hard to ensure our clients get the right products for their home or business. We even offer free in-home consultations and shade installations. What type of shades do you carry? Each of our products comes in a variety of fabrics and detail, customized exactly to your preferences. It’s important to select window treatments that compliment your home décor and style, which is why we offer free in-home consultations with samples and product details. Let us transform your home or office today with our high-quality shades! Contact us today at (212) 288-4041 to schedule a free estimate for your home remodeling project.